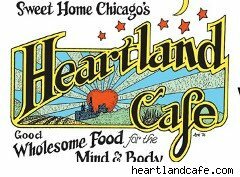 At $32 a pop, the overdraft fees at the Heartland Cafe in Chicago kept adding up. During the past 18 months -- the tally had reached $118,000, or about 3,600 separate charges. That's about 200 overdraft charges per month. Co-owner Michael James says he finally realized about six months ago that the charges were adding up, and now the famous Chicago restaurant is trying to raise $150,000 through fundraisers, donations and selling lifetime memberships in exchange for discounts, in an effort to keep from going out of business. James told WalletPop in a telephone interview that "non-sufficient Funds," or "NSF," appeared daily because credit card payments to the restaurant's bank account weren't credited until the day after the bank knew they were deposited, creating an overdraft on checks that James and co-owner Katy Hogan wrote. James declined to name the bank, which won't lend him money. "Somehow it's the banks and how this is organized," he said. "I didn't realize the gravity of it" until six months ago, James said, when the overdraft fees became a daily occurrence at the restaurant, which opened in 1976 as a hangout for hippies. Footage of a visit by President Obama before he was president was used in his campaign. "I dug a deeper pit. It's like a whirlpool sucking you in," said James, who admits the financial pit he dug was his fault, but he also cites the recession and not hiring a professional accountant. "The intensity of running a business in these harder times has really kept me from having a good oversight of it" and has forced him to focus on the money side of the business, he said. "I have a sense that I'm going to be a better businessman because of this," he said. The restaurant needs $100,000 to get through the winter, and $50,000 for immediate expenses such as liquor licenses and other required city and state licenses. The restaurant is also selling memberships for 10% discounts off food and purchases at its store -- $150 for a year, $500 for five years and $1,000 for life. Its long-range goal is to raise $1 million. James's bank changed ownership two years ago, and the restaurant's overdrafts started shortly later. "The bank just wasn't helpful when we went to them," James said, adding that it's now working with him on trying to resolve the problem. "They gave us some of the money back because we have a bank machine of theirs" in the restaurant, he said. However, given everything that has happened, James said he doubts he'll keep the bank's ATM when and if he changes banks.